Italian Prime Minister Giuseppe Conte has called for an immediate cease-fire in Libya. The fractious North African nation has been in freefall since the overthrow of longtime strongman Moammar Gaddafi, and the Army chief's recent attacks on the capital, Tripoli, have escalated the situation immensely. 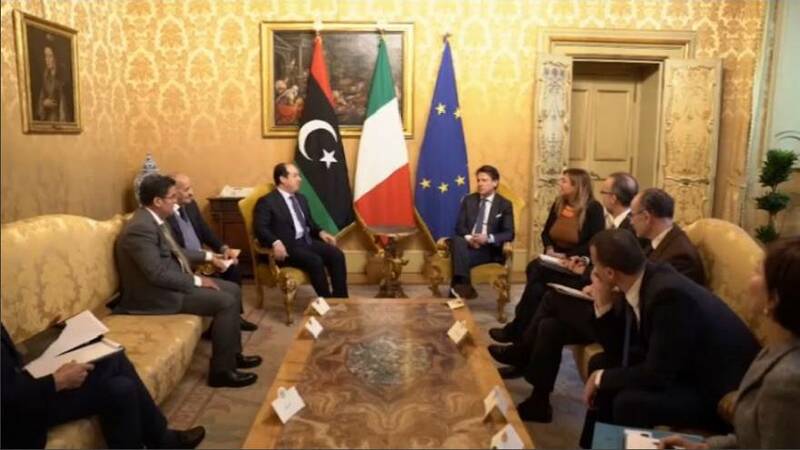 Yesterday Conte hosted a meeting in Rome between Libya's Deputy Prime Minister Ahmed Maitig and the Qatari Foreign Minister Mohammed bin Abdulrahman Al Thani in trying to find a solution for the continuing fighting. There are concerns that Libya could become a ‘new Syria’ as hundreds of thousands of people could be forced to leave the country and head to Europe. The Libyan Prime Minister Fayez al-Sarraj warned that the country is "facing a war of aggression that will spread its cancer throughout the Mediterranean, Italy and Europe. We need to be united and firm in blocking the war of aggression of Haftar, a man who has betrayed Libya and the international community". But despite the United Nations and some European countries backing Prime Minister al-Sarraj, General Haftar has won the full support from the Egyptian President Abdel Fatah al-Sisi, one of his closest political allies. "The president affirmed Egypt’s support in efforts to fight terrorism and extremist militias to achieve security and stability for Libyan citizens throughout the country," Sisi’s office said on Sunday. It is believed that Haftar also has the private support of leaders in Saudi Arabia and the United Arab Emirates. Qatar’s Foreign Minister, however, has said countries must be stopped from supplying arms to Libya.